Pupils and staff from Dulverton Junior School and All Saints CoE Infant School are celebrating after being awarded a Premier League Primary Stars kit and equipment pack. 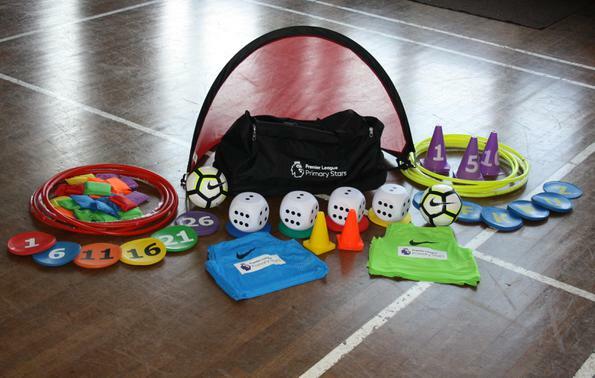 The pack contains footballs, bibs, cones, goals and things to use in a variety of sports, which will allow us to continue to provide exceptional physical education. Miss Ahern, Sports Co-ordinator for Dulverton Junior School said: “On behalf of the children, staff and governors at Dulverton Junior School and All Saints CoE Infant School, I would like to express our sincere thanks to the Premier League for their support in providing us with the kit and equipment pack.